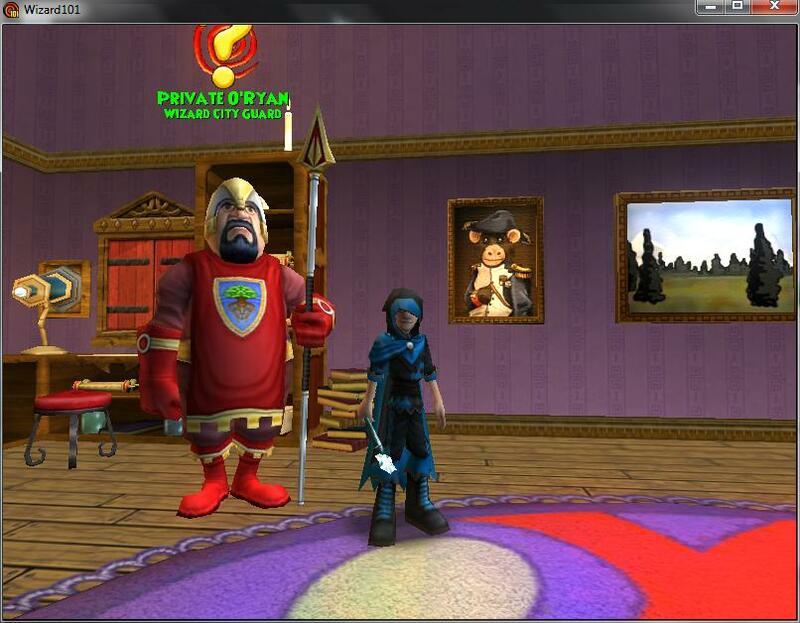 Who is this dashing Wizard? You may remember him from when he first started his travels in the Spiral. Maybe from this post? That's right! This is Blaze Shadowhorn from Wizard101 UK! Recently, I have been working on leveling him up and so far, he is level 6. 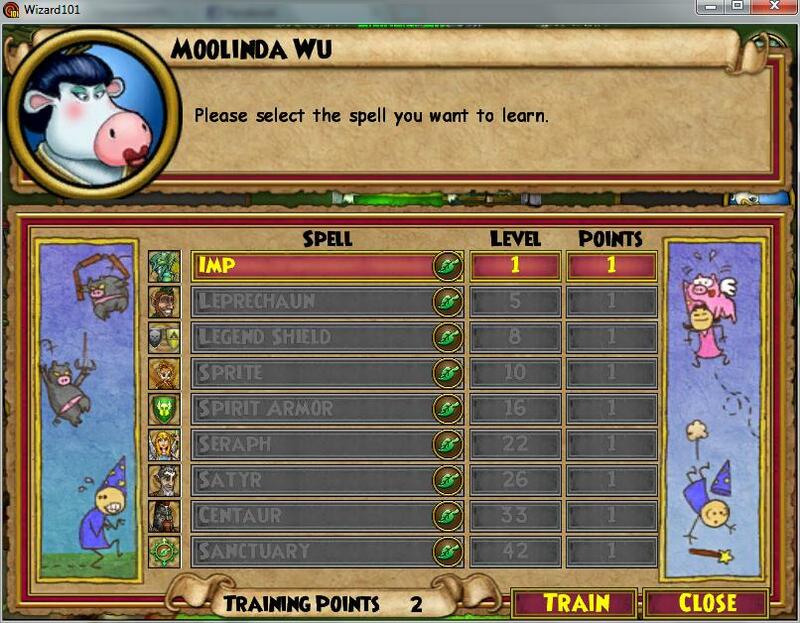 In a few hours time, I was able to get him through all the Unicorn Way and Olde Town quests and side quests. He currently is in Triton Avenue but almost done. 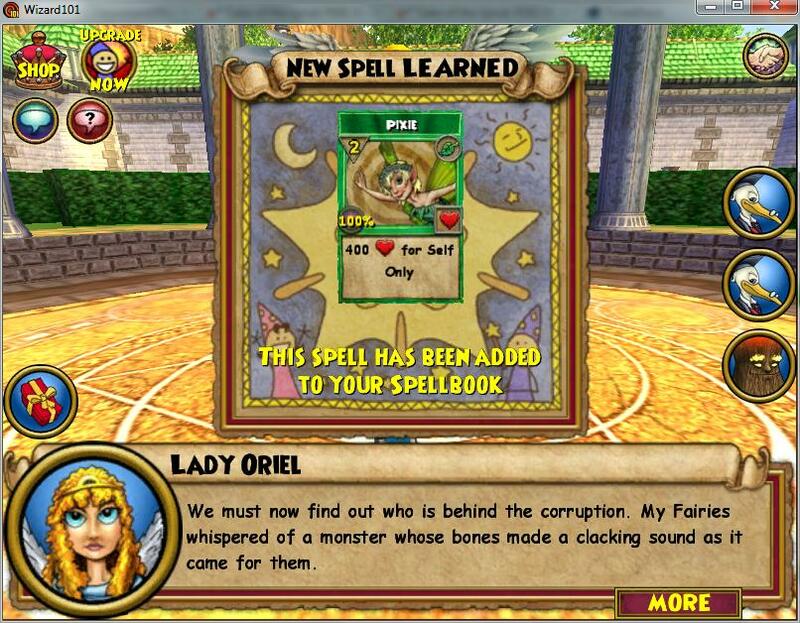 I picked up my questing and went and defeated the Dark Pixies in Unicorn Way and Lady Oriel gave me my Pixie spell. 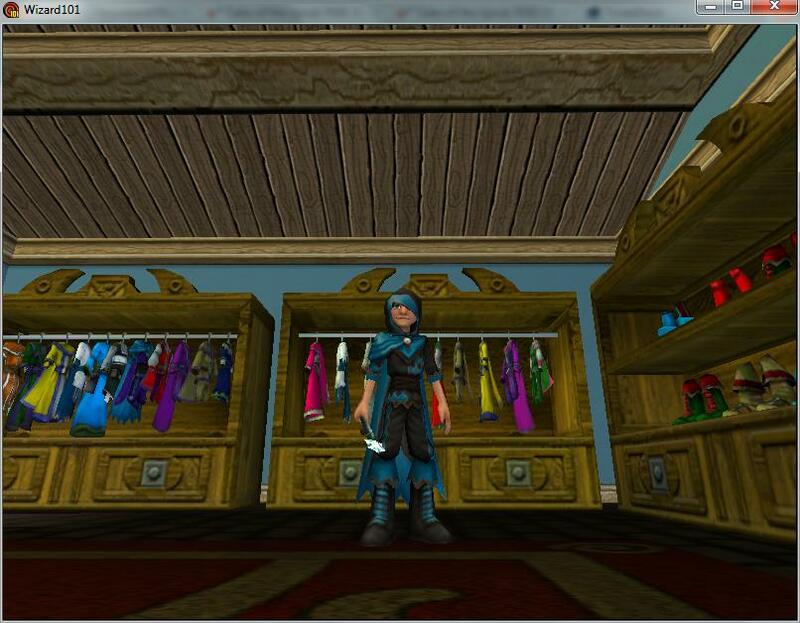 Then since I had some gold (100g), I went to the Bazaar and got myself some new gear. 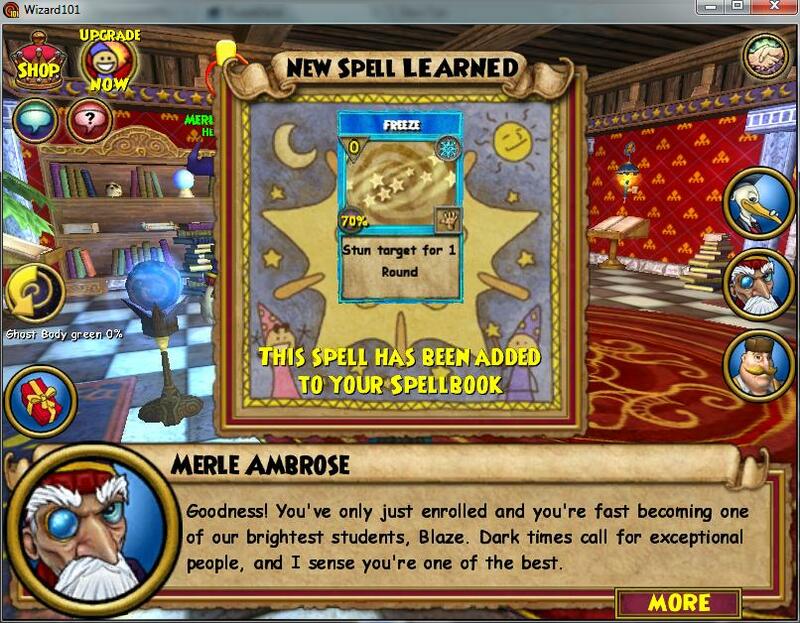 I then got a quest to go talk to Headmaster Ambrose where I was given my Freeze spell. 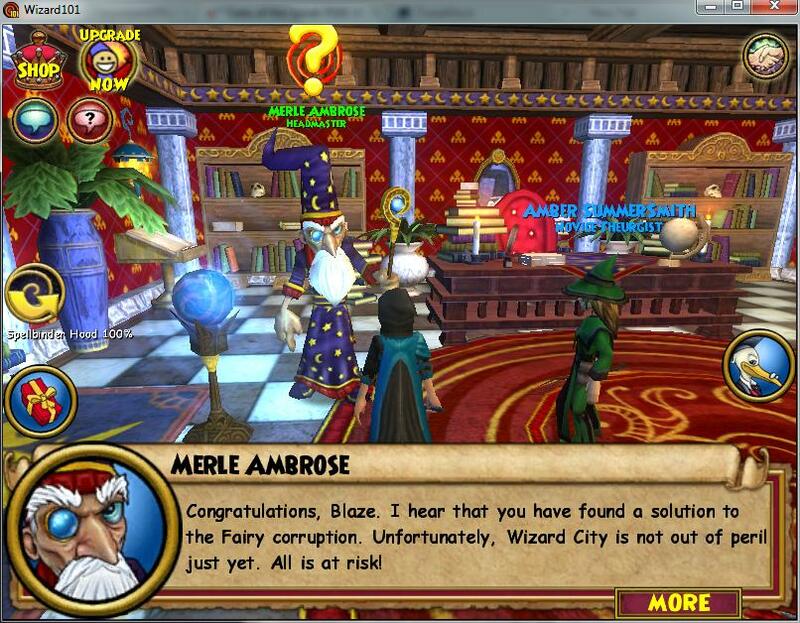 He then praised me and told me I had to work harder to clean up Wizard City. After leveling up and getting another Training Point, I debated what secondary school I wanted to train in. 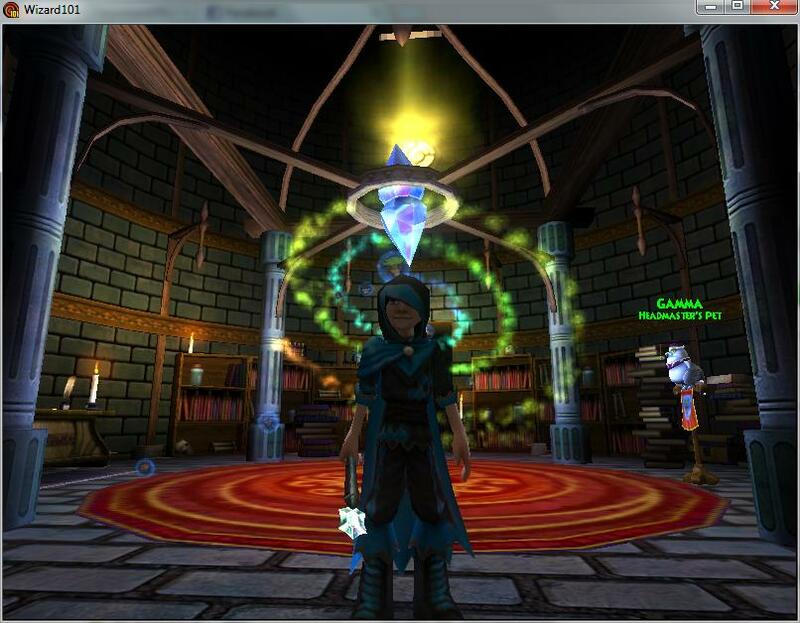 My good friend, Sophia Waterheart, helped me decide on the school... I chose Life! 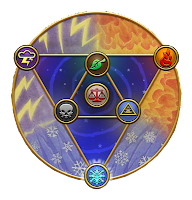 I added my new spells to my deck: Snow Serpent, Imp, and Leprechaun. I have never trained with Life as a secondary so I was excited to make this choice. 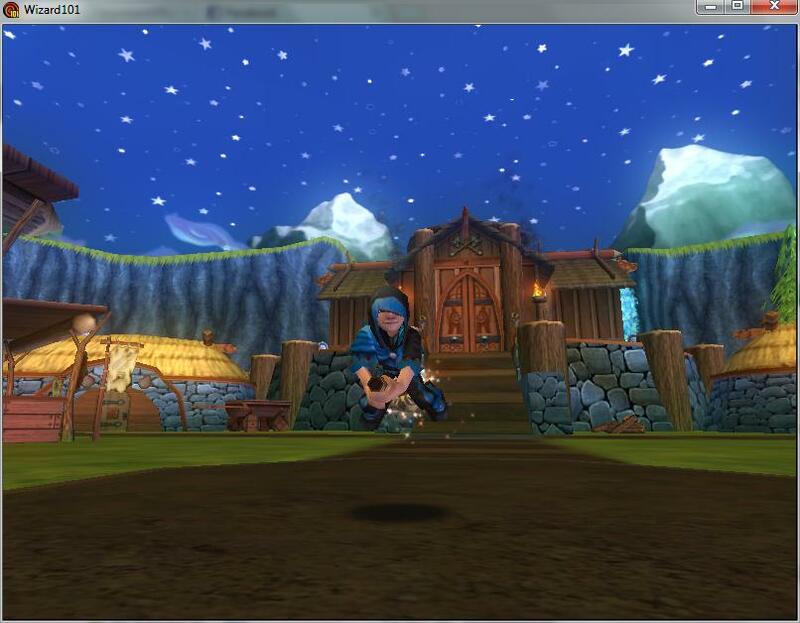 Baldur Goldpaws sent me to Grizzleheim to check up on his merchant friends. When I finally got into Triton Avenue, I found the broken wand I was searching for! 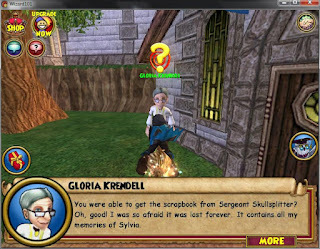 Sergeant Skullsplitter... What an interesting battle. 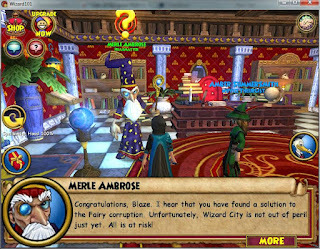 If you recall, I used to battle him all the time farming for the Triton Statue. After a year and a half of farming, I gave up. 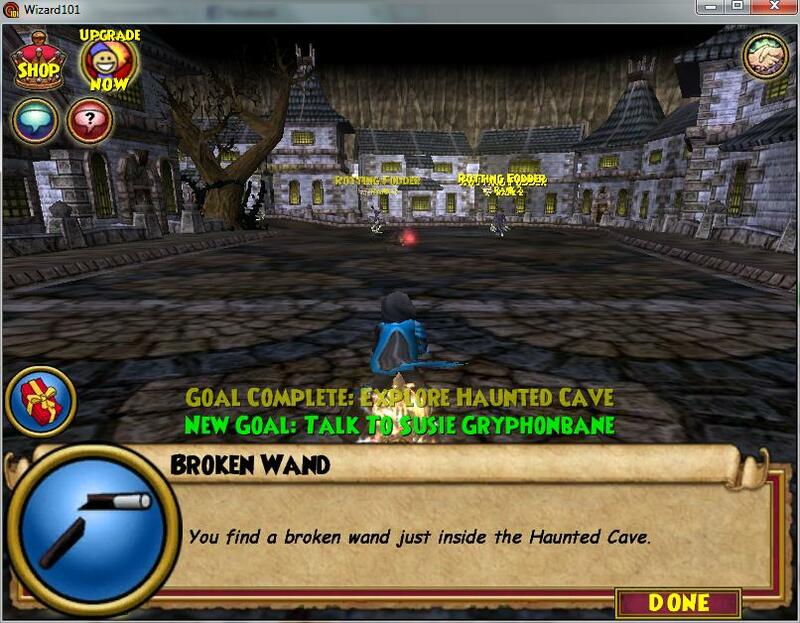 Of course when I do the quest on UK I get the statue first try! I was so excited! 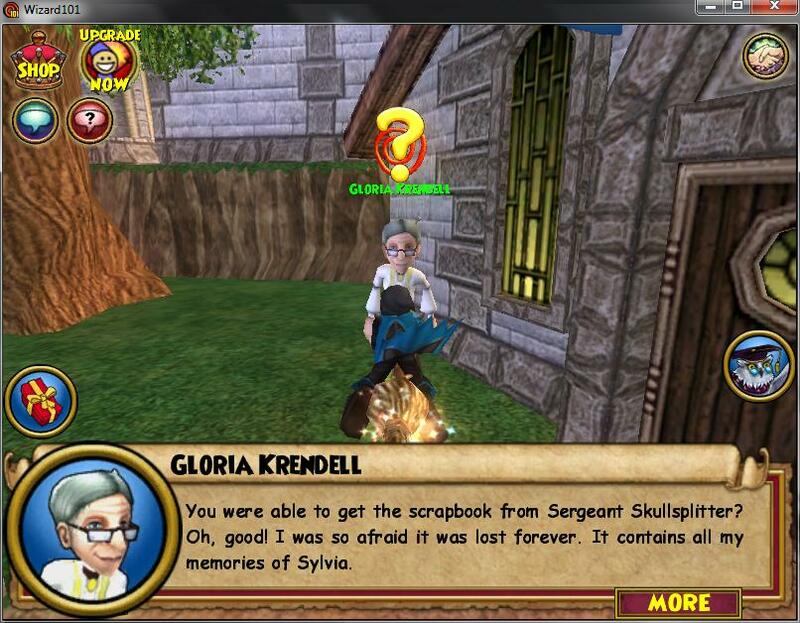 I then went to Gloria Krendell and gave her the scrapbook of Sylvia Drake back. 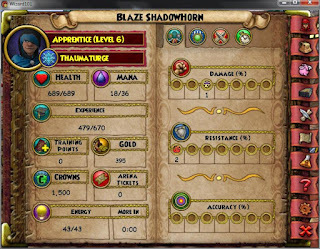 I then had to get off but I took a quick photo of my stats. Yes, I know they aren't good, but I prefer style over stats as a noob. If necessary, I have gear that would increase my health to 800 or so. 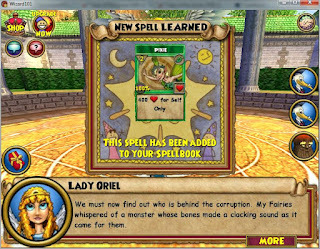 What I have found the most challenging is not having all of my gold and being able to transfer items over to this account. I have had to start from the ground up and it is going to be tough but it is always a great joy to level up from start to finish once again. 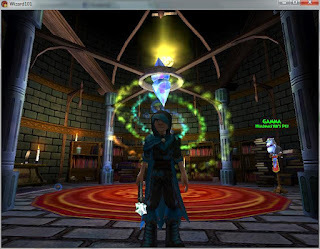 I really look forward to more questing in Wizard101 UK and all that it has to offer. Do you hear that? It sounds like it's time for TRIVIA TUESDAY!!!! This week, I want to do it on the schools of magic. Remember, don't forget to test yourself with the questions and see how many you get right. Then scroll down to the bottom of the post to see the answers. The sound of thunder clashing, the great sea swelling. We may not have the best health, but when it comes to damage, we pack a punch! We are tempestuous, quick to anger, and consumed by whatever drives them at that moment. We specialize in damage done over time. The Great Dragon Titans are our ancestors. The Giants who built the castles in the sky are our ancestors. We specialize in taking great amounts of damage and having the highest amount of natural health. Gardening is a specialty of ours. 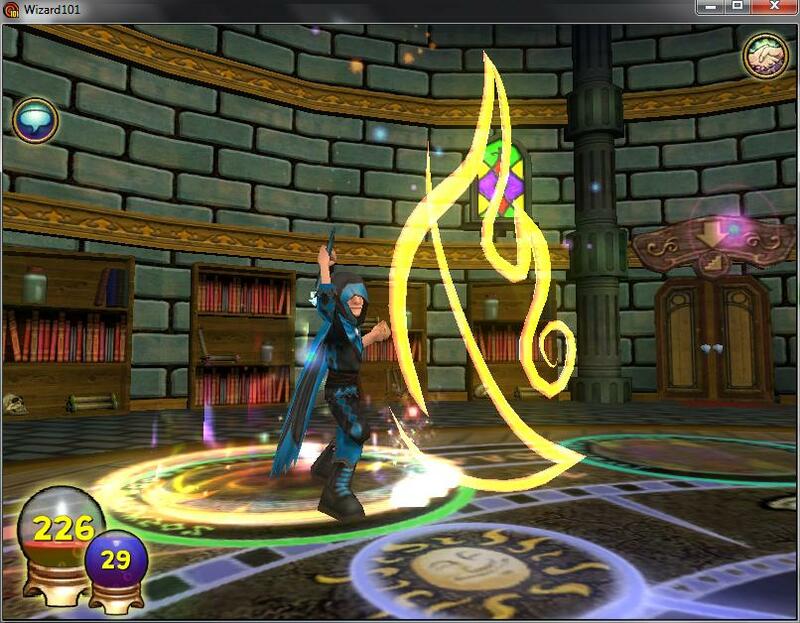 We love to heal ourselves and others and lend a helping hand in battle. Absorbing our enemies health is one of our greatest strengths. Vampires, Ghouls, and Wraiths are our preferred attacks. We love our minions. 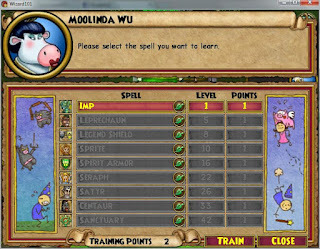 With four different minions, we learn to use different abilities and strategies. Our teacher is the brother of Malistaire. This school of magic based around all others. It combines spells from all the other schools. 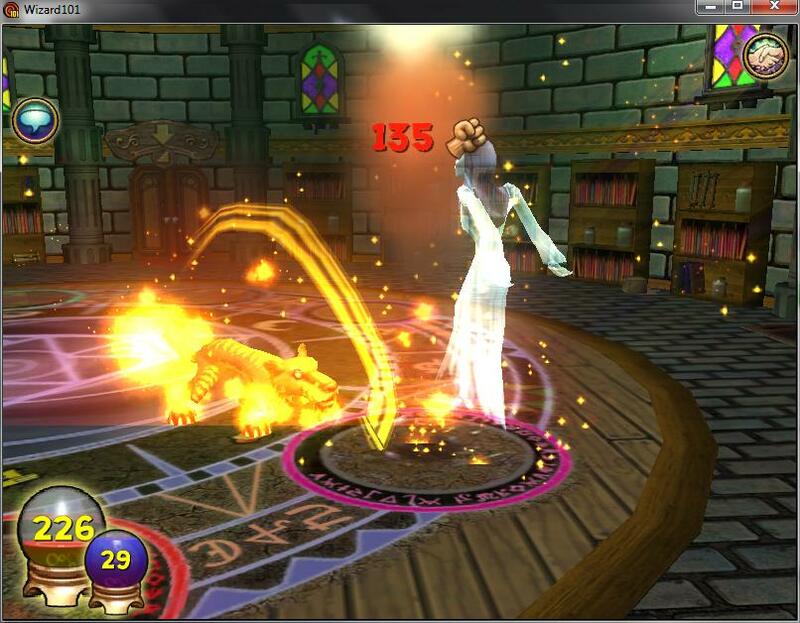 The spells are amazing for group battles and doing mass amounts of damage. 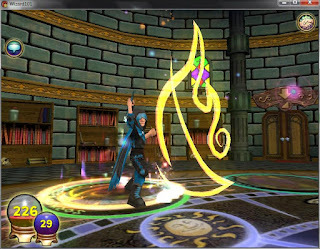 This school of magic was added later on in the game. 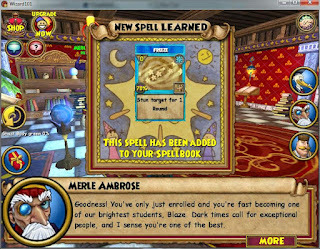 It specializes in adding buffs to your spells and making them stronger. 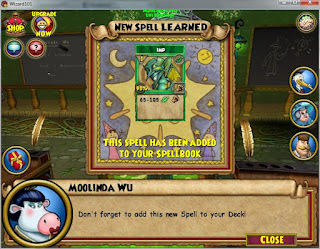 This school of magic was added later on in the game. It specializes in transforming you into another creature. 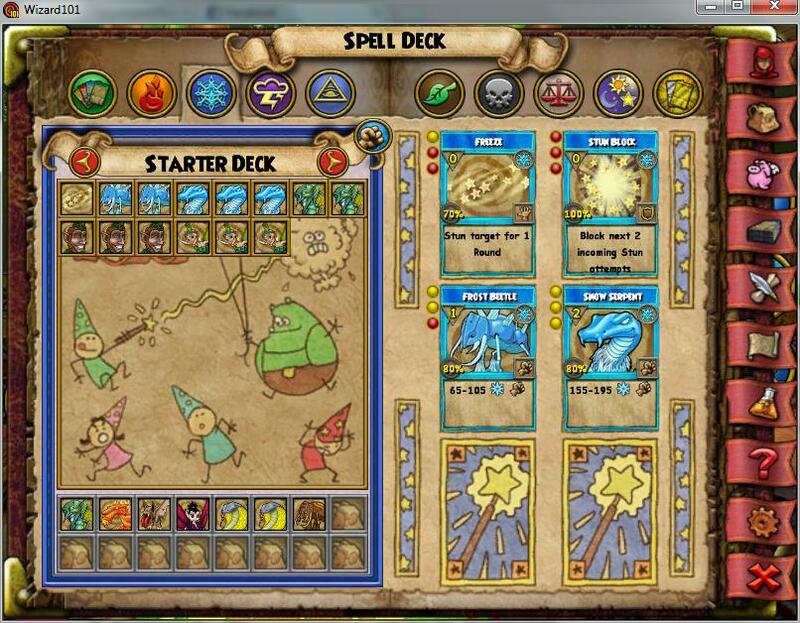 You get a new deck with new spells for 6 rounds. 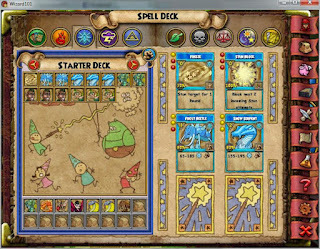 This school of magic was added later on in the game. It gives you an aura for 4 rounds which improves your stats in certain areas. Well, let's see how you did! I liked it. c: I got all right. Wooo. Can't wait to see more W101 UK News!